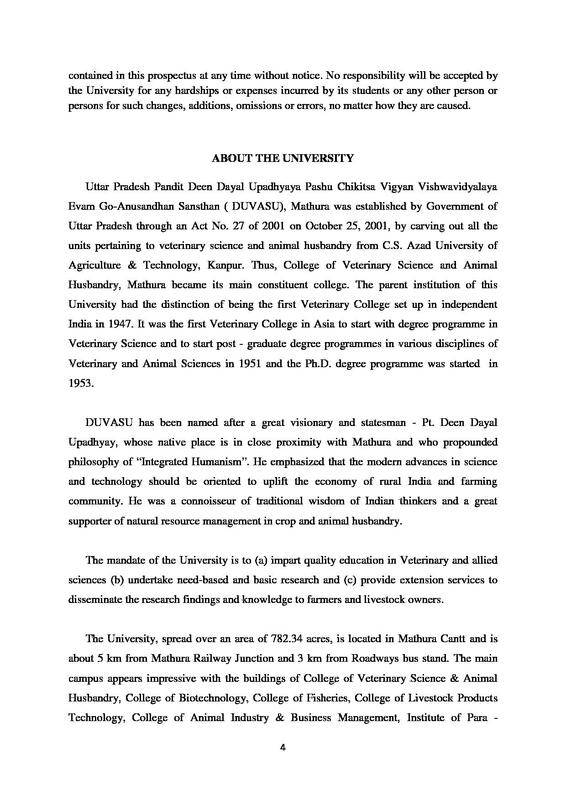 College of Veterinary and Animal Husbandry, Mathura was founded late back in the year 1947. 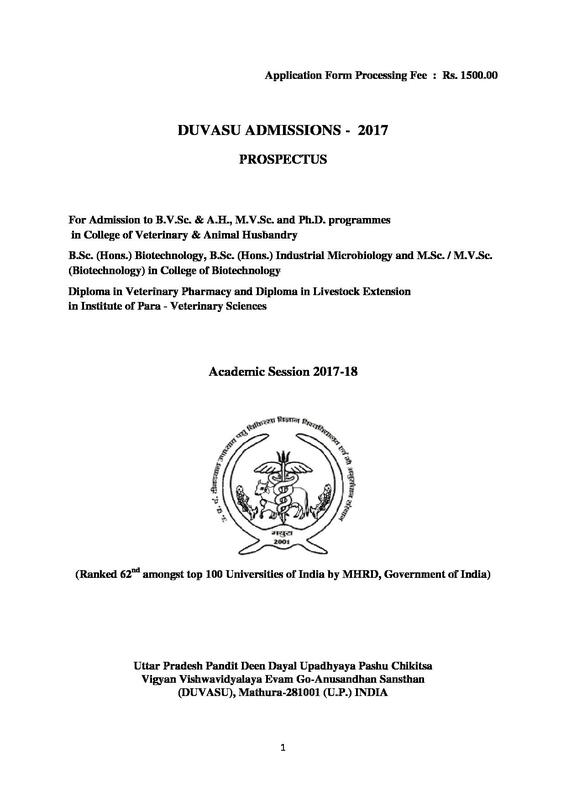 The college aims in contribution towards animal health and production, it is known for its teaching practices and research programme undertaken. It was established in Mathura city keeping in mind the livestock, as many gaushalas are found in this area, being birth place of lord Krishna who was known for keeping animal wealth, cows in particular. Recognizing importance of livestock and its milk production and other dairy product in the city Government of Uttar Pradesh established this college in Mathura in 1947. 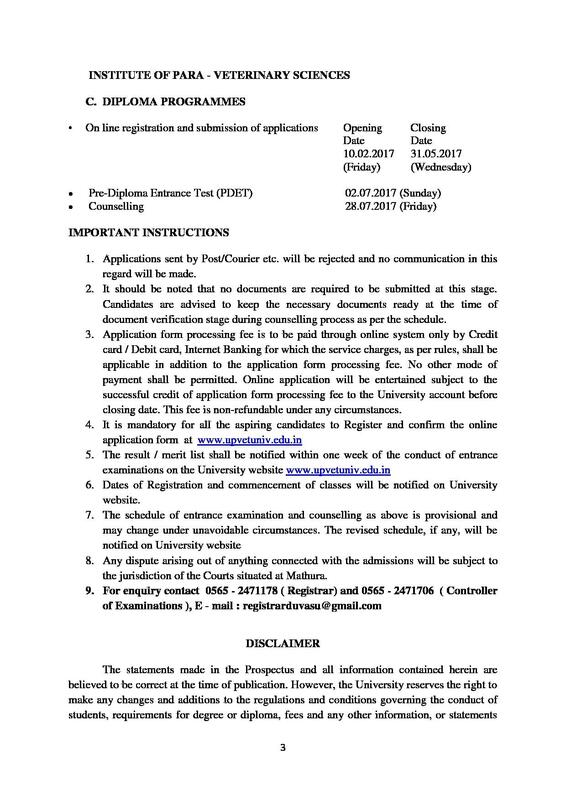 Why to join College of Veterinary and Animal Husbandry, Mathura? The college has significantly improved in terms of infrastructural and human resource development since the time it was established till date. The college has not only developed in terms of improvised construction but has improved its academic standards and has made its place internationally as well. The college is well equipped with librairy, lecture halls, conference rooms, printing and publication house, etc, which helps in adopting good teaching practices and improvise student’s standards. College offers a wide range of courses in animal sciences and veterinary. 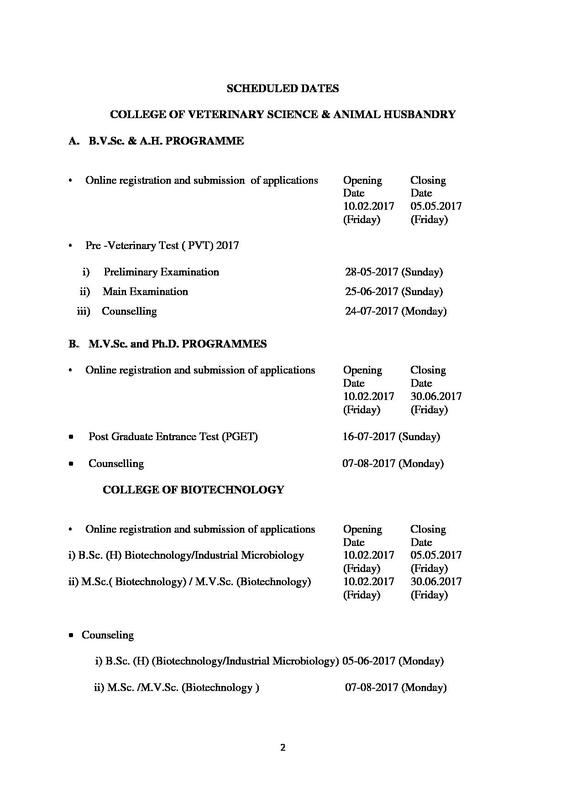 College is serving in eighteen teaching departments, to provide quality education in field of veterinary and animal husbandry. College also takes students to the educational tour to different parts of India to acquaint themselves with other educational institutions and industry keeping in view of their professional requirements and to improve their competency, technical acumen and scope.